We are talking to the Lawyer and will consult Murthy law firm based on his response. However, I-485 was incorrectly classified as EB2, then it shouldn't have been accepted in first place because the PD for EB2 at the time of our I-485 submission was sometime in 2008 which is far from our PD (Nov-5-2015) . Moreover, in I-485 form itself, there is no place to specify the classification(EB1/EB2). We just mention the underlying petition number which mentioned as the one pertaining to EB1. Thanks Shurap1 for your response.. Appreciate it. I checked the A number , they are same for both I-140 approvals as well as all other applications I-485 & I-131. However , when we filed for AOS application this year, the service center made a typo error for preference classification as EB2 instead of EB1 in the I-485 receipt number. Do you think that might be an issue? However , later USCIS acknowledged that it was a typo and should be resolved at the time of interview. We have a lawyer assigned to us by our company who keeps saying to wait until there is any correspondence from USCIS and advised us not to contact USCIS directly as he is the attorney of record. In short , he is just sitting and waiting (for anything from USCIS). However I am worried that Visa quotas will again get over for FY 2019 soon and therefore I would like to get this issue resolved ASAP. When we call USCIS Tier 2 officer , they say State dept gives them directions on Visa number allotment . I am not sure how to contact state dept and if they will ever respond even if we contact them. We are kind of stuck . Any further suggestions to resolve this "Silly" but important issue will be appreciated. Thanks. There is no change in Final Action date for EB1 in India in October 2018 and Nov 2018 visa bulletin. Its the same which is Jun-1-2016. I am not sure if Understand Point # 1. Can you please clarify a bit on new interpretation? This is what I got from USCIS website. 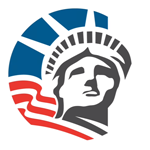 "UPDATE: USCIS has reached the congressionally mandated H-1B cap for fiscal year (FY) 2016. We have received more than the limit of 20,000 H-1B petitions filed under the U.S. advanced degree exemption. USCIS will continue to accept and process petitions that are otherwise exempt from the cap. Petitions filed on behalf of current H-1B workers who have been counted previously against the cap, and who still retain their cap number, will also not be counted toward the congressionally mandated FY 2016 H-1B cap. Cap Eligible PetitionsThis is the number of petitions that USCIS has accepted for this particular type of cap. It includes cases that have been approved or are still pending. It does not include petitions that have been denied.